What does SignalScope X offer that our other apps don’t? Now that SignalScope X has been announced as a successor to five of our other apps (SignalScope, SignalScope Pro, SignalSuite, IOScope, and RoomScope), it’s time to discuss what SignalScope X offers that the others don’t. Here is a list of some major features that are new to SignalScope X. In SignalScope and SignalScope Pro, only a single analysis tool can be running at a time. Switching to another tool while analysis is running automatically stops the previous tool and starts the new one. In SignalScope X, each tool can be run independently of the others and multiple tools can be run at the same time. The tab bar shows which tools are running. The previous apps automatically stop what they’re doing when you return to the home screen. 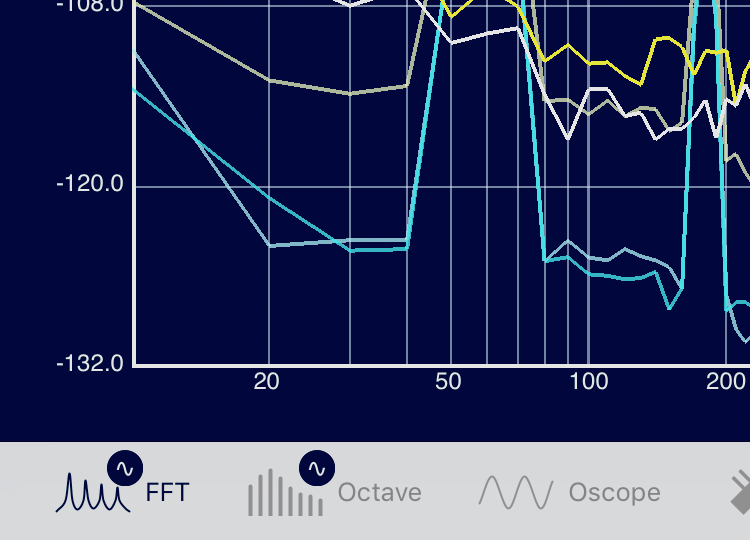 SignalScope X allows you to choose the same behavior or to keep measurements running in the background while performing tasks in other apps. SignalScope X also supports the latest iPad multitasking features, such as Split View. 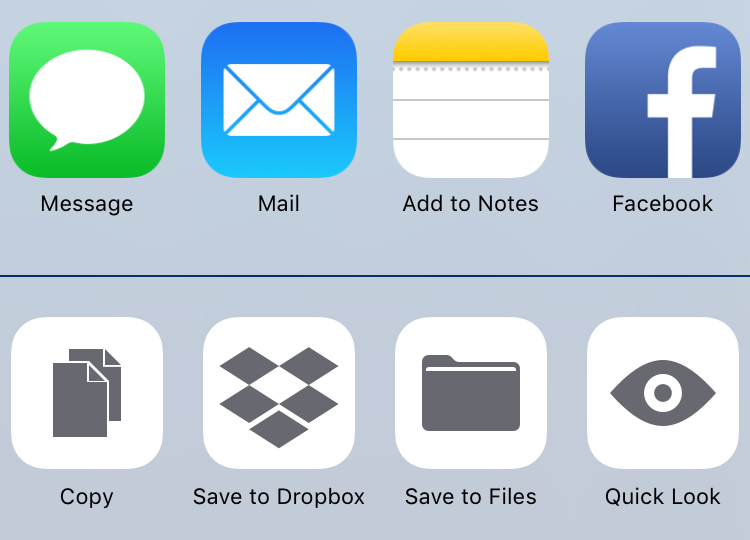 SignalScope X supports loading compatible files from other apps. 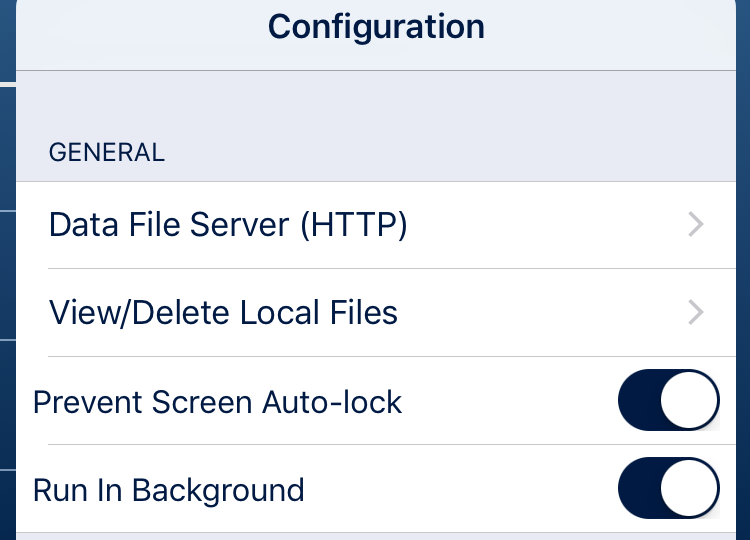 This means you can browse to an audio file or one of SignalScope X’s exported data files in another app, such as Files, and use the action button to bring up a menu which will allow you to copy the file to SignalScope X. 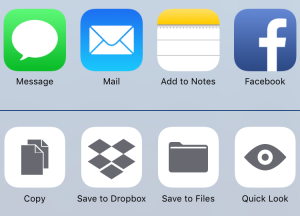 You can also export files from SignalScope X to another app, such as Files, Numbers, or Dropbox, using a similar menu. 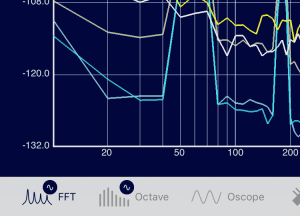 SignalScope X supports audio files (.wav, .aif, .caf), it’s own data files (.txt, .csv, .mat), and frequency response data files (.frd). 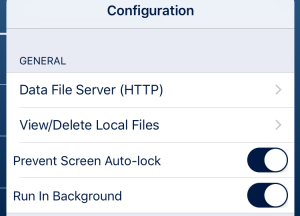 In the previous apps, input channel selection was performed for all tools in the Input Channels submenu of the I/O Configuration menu. 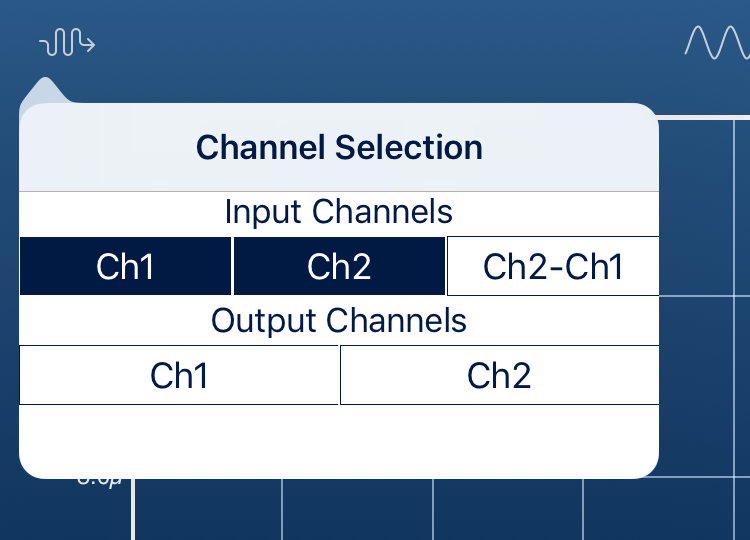 SignalScope X offers a new user interface for independently selecting input channels in each tool that supports real-time input. This includes selecting up to 8 channels from a multi-channel device. 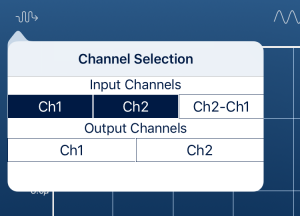 The new input channel selection menu can also include output channels. 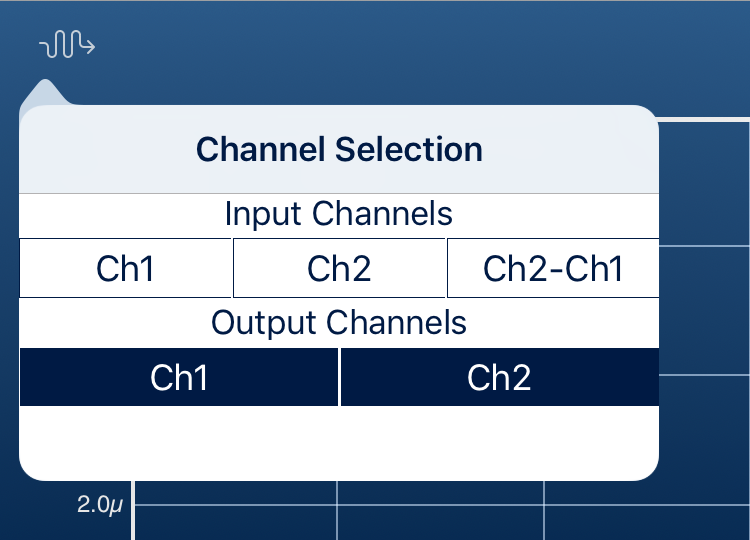 For the stereo Signal Generator, this means you can select which two channels of a multi-output device you want to use for the left and right signals. It also means that analysis tools can select those same output channels for direct analysis of the Signal Generator’s output. analyzer will typically update less frequently as it waits for data to be gathered for each FFT. 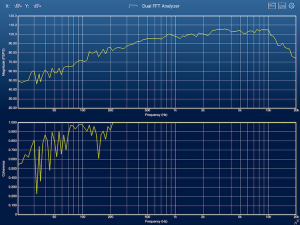 Overlap processing allows the spectrum analyzer to be updated more frequently, which makes for a smoother response. In the FFT and Dual FFT Analyzer tools, the overlap percentage can be manually specified with one of the fixed values (50% overlap means the analyzer will be updated twice as often and 90% overlap will produce updates 10 times as often). When Overlap % is set to Max, SignalScope X will automatically compute an overlap percentage that optimizes the spectrum analyzer’s update rate for the selected sample rate and frequency resolution. 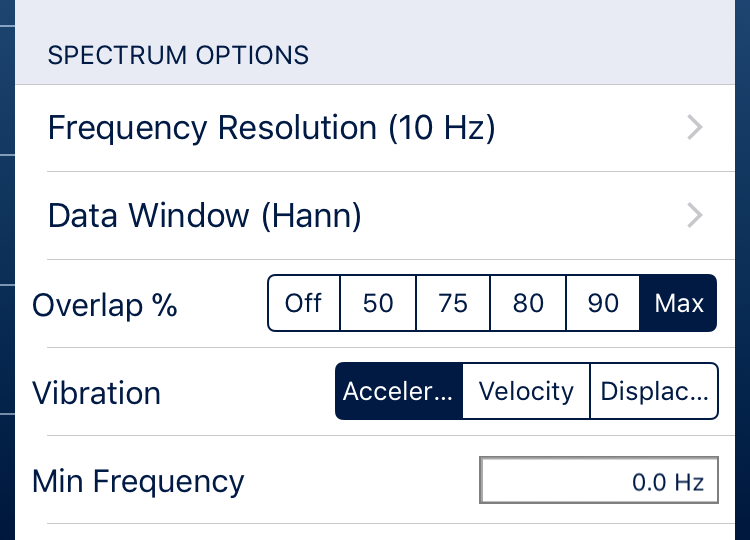 The Dual FFT Analyzer in SignalScope X now displays any two of the available device/system measurements on the screen at the same time, in separate plots. For example, this means you can monitor frequency response magnitude and phase, or phase delay and coherence, at the same time. 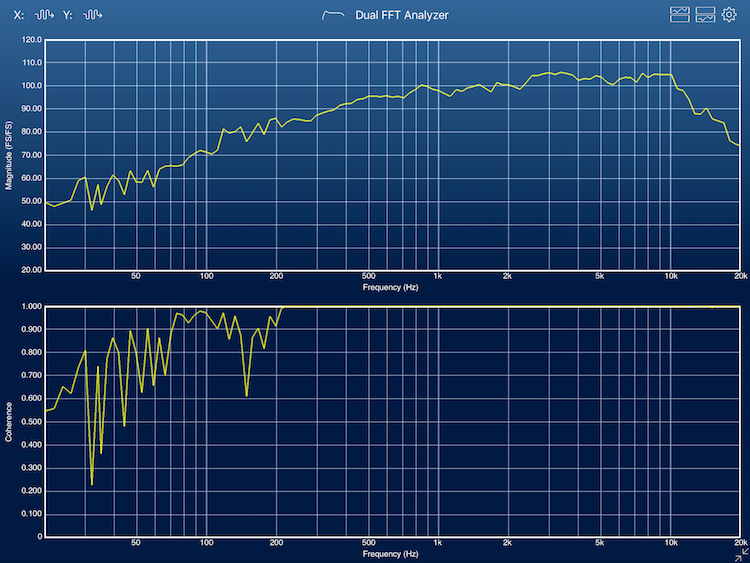 Phase delay is also a new measurement available in the Dual FFT Analyzer. SignalScope, SignalScope Pro, IOScope, and RoomScope all had a built-in signal generator to produce excitation signals for different kinds of measurement and analysis tasks. However, SignalScope X’s stereo signal generator includes the full functionality of SignalSuite, which supports two independent periodic waveform generators with a user-defined phase relationship between them as well as user defined sequence lengths for pseudorandom noise sequences and frequency sweeps. The Dual FFT Analyzer also includes its own, dedicated periodic excitation signal generator to facilitate high-signal-to-noise-ratio measurements with little or no averaging. The three new tools that have already been introduced for SignalScope X are the XY Plotter, multi-channel Data Recorder, and MultiTool. The MultiTool, in particular, greatly enhances the value of SignalScope X when used as a configurable host and project manager for the other tools. Very exciting update to a great app. I understand the need to move to a subscription model. One thing I’d love to see is a means to annotate saved waves (beyond date, time & location). Could a free text “Note” field be added, or better yet a way for users to customize data stored with each wave? Would you like to see additional info stored in the accompanying text file, or embedded in the wav file, or both? Are there additional generic properties you would like to be able to choose from, or are you just looking to be able to add specific annotations for a given recording?